NYC. There’s nothing like a little bling to spice up a simple outfit and right now I’m obsessed with these half moon earrings from Lizzie Fortunato, simply perfect! EARRINGS Lizzie Fortunato (here). SUNGLASSES Céline. This entry was posted in Details and tagged earrings, lizzie fortunato, New York by Carolina Engman. Bookmark the permalink. What beautiful earrings… and very nice pic! Today in our blog we speak a bit about photography, do you wanna see it? Fabulous earring ! Look perfect on you ! Beautiful earings, looks so good on you! son preciosos!! me gustan mucho para verano! so beautiful!! you look amazing! ADORABLE aearing, love the cut. gorgeous earrings, so simple yet statement! They are cute. I really like your makeup. It’s so natural and beautiful. The dark side of the Moon… very inspiring! That pic is so nice and I like your natural make up. Have a great day. Such a stunning photo of you! Great picture and lovely earrings !! gorgeous shot! love the bling! Oh I love those earrings they’re gorgeous! really pretty photo. love the earrings! Awesome earrings and I love your sunglasses! A new outfit post on 70s style is up on Local & Opulent. I love these earrings and your photos are always so pretty ! those earrings are beautiful, nothing like a little bling to brighten a winter day! I LOVE THEM! They are really great!! Vilket typsnitt är det du använder på Fly me too the moon-texten? Så himla snyggt! Stunning make up, you have a flawless skin. Your complexion is beautiful and flawless! Wonderful blog, keep it up please! Those earrings are really amazing! i love this! the makeup, the sunglasses and of course j’adore the half moon earrings. So pretty, love the shape of it, very flattering. aw, such a lovely earrings! WOW!!!! that is the coolest pic that I have ever seen!!! Din hy ser FANTASTISK ut! Mera skönhetsinlägg, please!! Gorgeous earrings. I love the half moon shape. Beautiful! You look so perfect, and this photograph is wonderful. Wow your skin is flawless!! Great shade of lipstick too! The earrings are so dreamy ;) Greetings from Czech Republic! 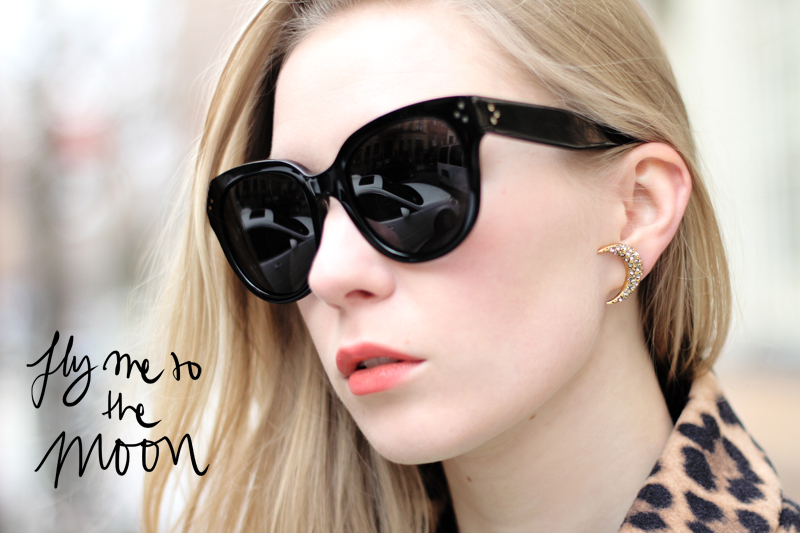 Fashionsquad x Cooee jewellery collection!